The garden "shed" has changed and grown a bit! 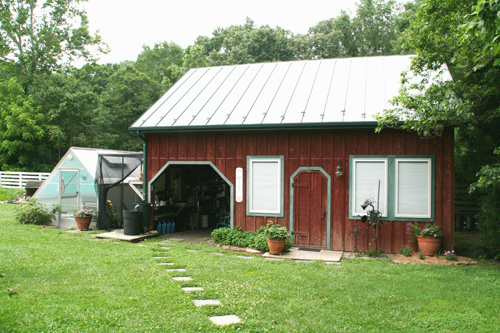 We now call it the "garden barn." It houses an office and two floors of garden tools and supplies.